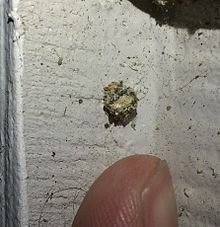 Depending on the species and where it lives, the larva either conceals itself under leaves, debris or pieces of wood, hides in a crack or digs a funnel-shaped pit in loose material. As ambush predators, catching prey is a risky business because food arrives unpredictably and, for the species that make one, maintaining the trap is costly; the larvae therefore have low metabolic rates and can survive for long periods without food. They can take several years to complete their life-cycle; they mature faster with plentiful food, but can survive for many months without feeding. In cooler climates they dig their way deeper and remain inactive during the winter. Derik Lattig this is great thanks!